Want to be notified of new releases in madhavanmalolan/awesome-reactnative-ui? Have a component that isn't listed here? Send in a PR by editing the components.txt file. nachos-ui : Nachos UI is a React Native component library. 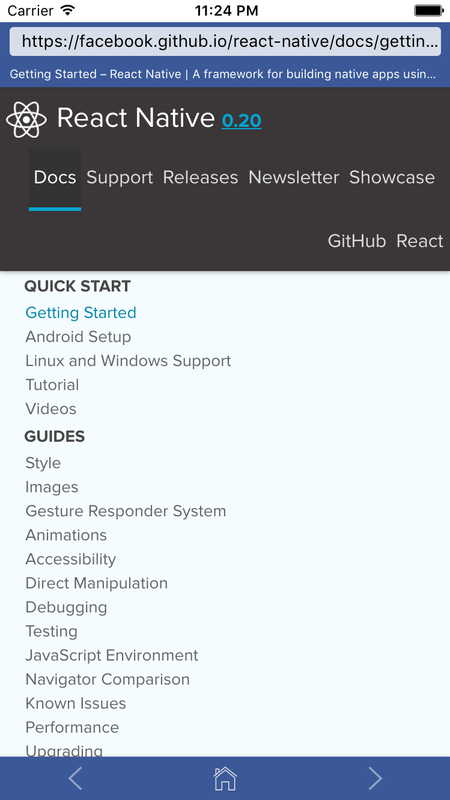 react-virgin : The react-native UI Kit you've been looking for. lottie-react-native : Lottie wrapper for React Native. 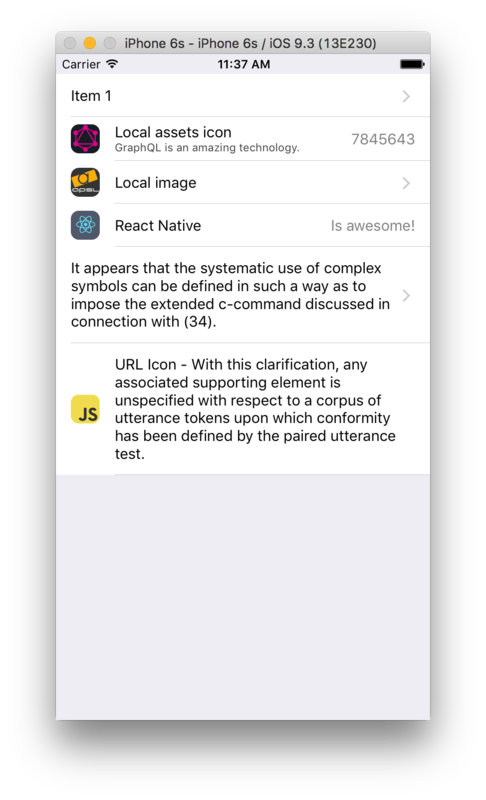 react-native-vector-icons : Customizable Icons for React Native with support for NavBar/TabBar/ToolbarAndroid, image source and full styling. react-native-swiper : The best Swiper component for React Native. 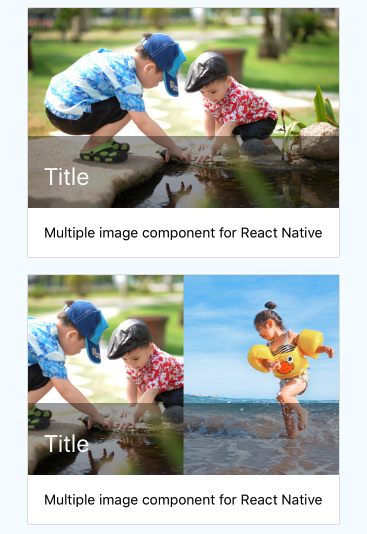 react-native-image-picker : 🌄 A React Native module that allows you to use native UI to select media from the device library or directly from the camera. react-native-snap-carousel : Swiper/carousel component for React Native with previews, multiple layouts, parallax images, performant handling of huge numbers of items, and RTL support. 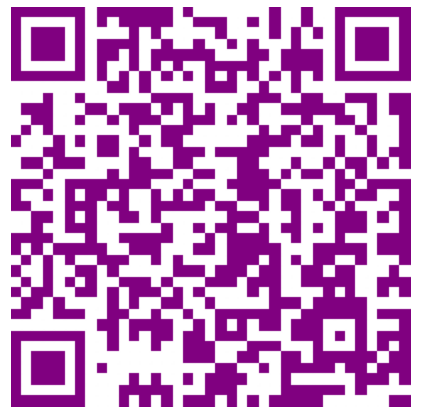 Compatible with Android & iOS. react-native-svg : SVG library for React Native, React Native Web, and plain React web projects. 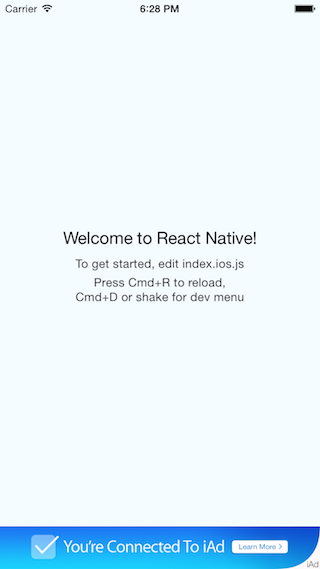 react-native-splash-screen : A splash screen for react-native, hide when application loaded ,it works on iOS and Android. react-native-textinput-effects : Text inputs with custom label and icon animations for iOS and android. Built with react native and inspired by Codrops. react-native-fast-image : 🚩 FastImage, performant React Native image component. react-native-parallax-scroll-view : A ScrollView-like component with parallax and sticky header support. react-native-picker : A Native Picker with high performance. 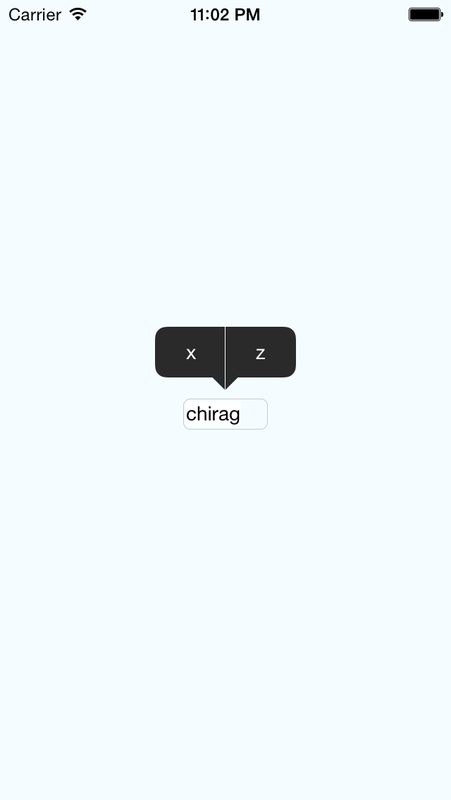 react-native-keyboard-spacer : Plug and play react-native keyboard spacer view. 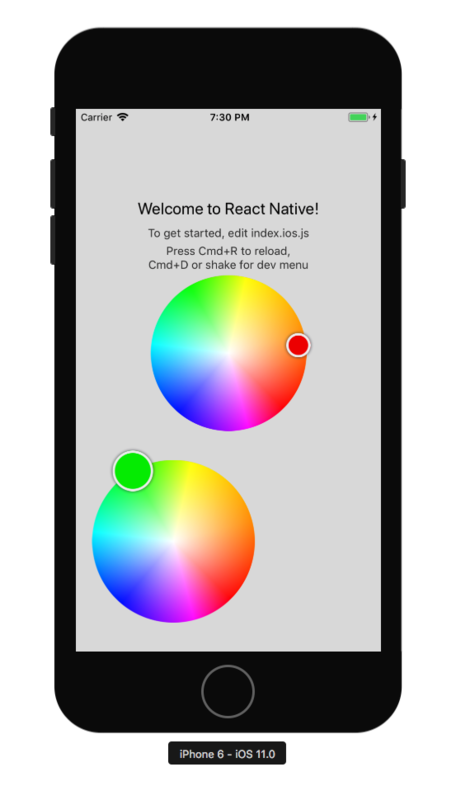 react-native-orientation : Listen to device orientation changes in react-native and set preferred orientation on screen to screen basis. react-native-popup-dialog : A React Native Popup Dialog, Highly Customizable, Easy Use & Support Custom Animation. For IOS & Android. react-native-largelist : The best large list component for React Native. react-native-dropdownalert : A simple alert to notify users about new chat messages, something went wrong or everything is ok.
react-native-credit-card-input : Easy, cross-platform credit-card input for your React Native Project! Start accepting payment 💰 in your app today! react-native-search-bar : The high-quality iOS native search bar for react native. react-native-masonry : 🙌 A pure JS react-native component to render a masonry~ish layout for images with support for dynamic columns, progressive image loading, device rotation, on-press handlers, and headers/captions. react-native-modal-dropdown : A react-native dropdown/picker/selector component for both Android & iOS. react-native-photo-browser : Local and remote media gallery with captions, selections and grid view support for react native. react-native-easy-toast : A react native module to show toast like android, it works on iOS and Android. react-native-step-indicator : A simple react-native implementation of step indicator widget compatible with the ViewPager and ListView. react-native-sketch : 🎨 A React Native component for touch-based drawing. react-native-refresher : A pull to refresh ListView for React Native completely written in js. react-native-fit-image : Responsive image component to fit perfectly itself. react-native-country-picker-modal : 🇨🇦 Country picker provides a modal allowing a user to select a country from a list. It display a flag next to each country name. react-native-modal-picker : A cross-platform (iOS / Android), selector/picker component for React Native that is highly customizable and supports sections. 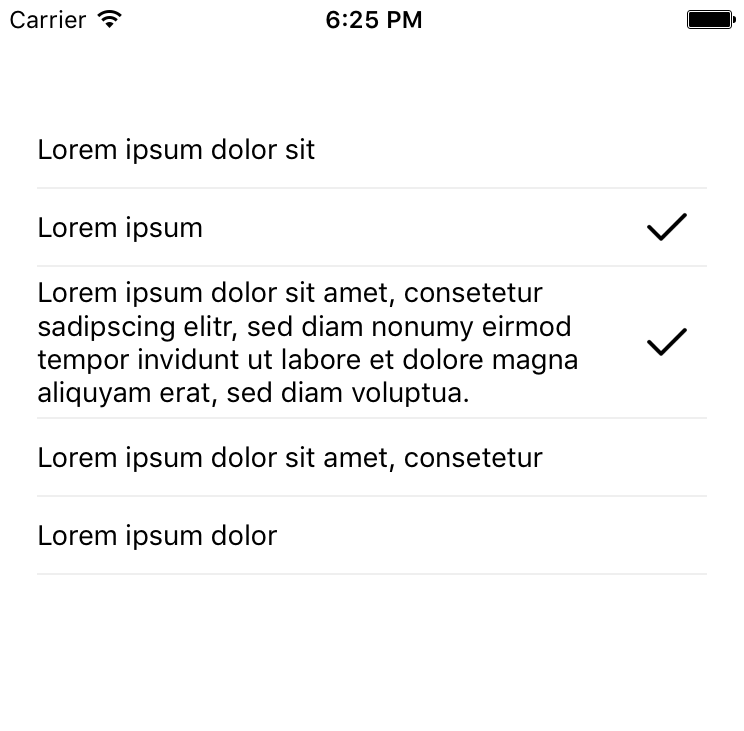 react-native-check-box : Checkbox component for react native, it works on iOS and Android. react-native-off-canvas-menu : Beautifully crafted off canvas menu components for react native applications. Built on top of react-native's Animated library. react-native-circular-action-menu : Path-esque circular action menu inspired by CircularFloatingActionMenu. react-native-searchbar : A pretty sweet search bar for React Native. 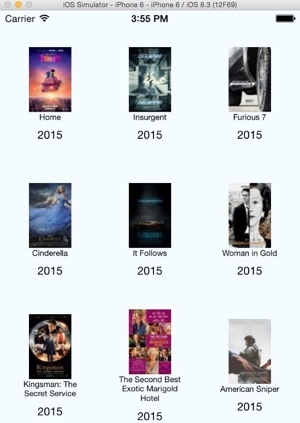 react-native-search-box : A simple search box with animation, inspired from ios search bar. Lightweight, fast, flexible. react-native-md-textinput : React Native TextInput styled with Material Design. react-native-cacheable-image : An Image Component for React Native that will cache itself to disk. react-native-size-matters : A React-Native utility belt for scaling the size your apps UI across different sized devices. react-native-progress-hud : A clean and lightweight progress HUD for your React Native app. react-native-keyboard-manager : ⚛ Library to prevent issues of keyboard sliding up and cover inputs on React-Native iOS projects. react-native-egg : react-native-egg make your react native app infinitely more fun !! react-native-image-cache-hoc : React Native Higher Order Component that adds advanced caching functionality to the react native Image component. react-native-qrcode-svg : A QR Code generator for React Native based on react-native-svg and node-qrcode. react-native-webbrowser : A cross-platform (iOS / Android), full-featured, highly customizable web browser module for React Native apps. react-native-google-place-picker : React Native Wrapper of Google Place Picker for iOS + Android. react-native-android-statusbar : A react native android module to control the android statusbar. 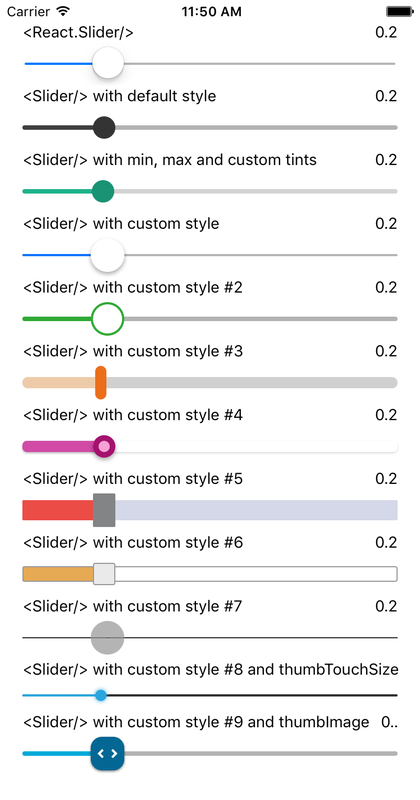 react-native-multi-slider : Pure JS react native slider component with one or two markers. react-native-display : This module brings "Display: none" (css style) to turn on/off components from render. 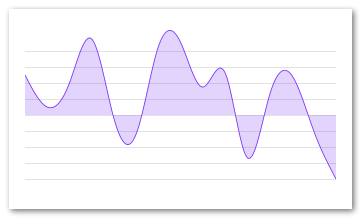 Using this module will improve your app performance and appearance with the enter/exit animations. 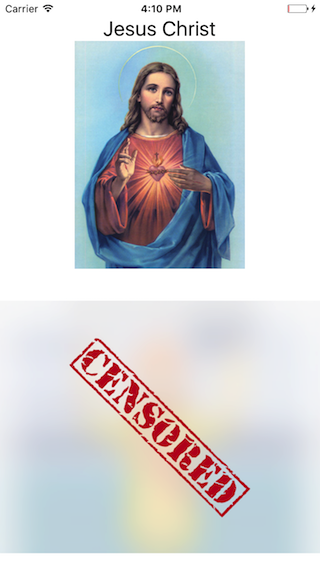 react-native-image-carousel : Image carousel with support for fullscreen mode with swiping and pinch-to-zoom. react-native-beautiful-video-recorder : The video recorder component that extends from react-native-camera. 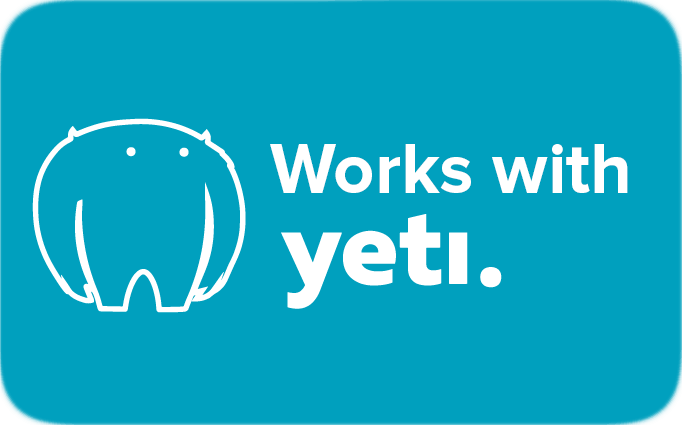 It works for both iOS & Android. react-native-cell-components : Awesome react-native cell components! From a Cell to more complex & awesome components. react-native-swipe-a-lot : A swipe component for React Native that works on iOS and Android. react-native-viewport-units : Incredibly simple utility for (sort of) using viewport units with React Native. react-native-fading-slides : ➰ Simple looped fading slides carousel for React Native. react-native-scrollable-mixin : A standard interface for your scrollable React Native components, making it easier to compose components. 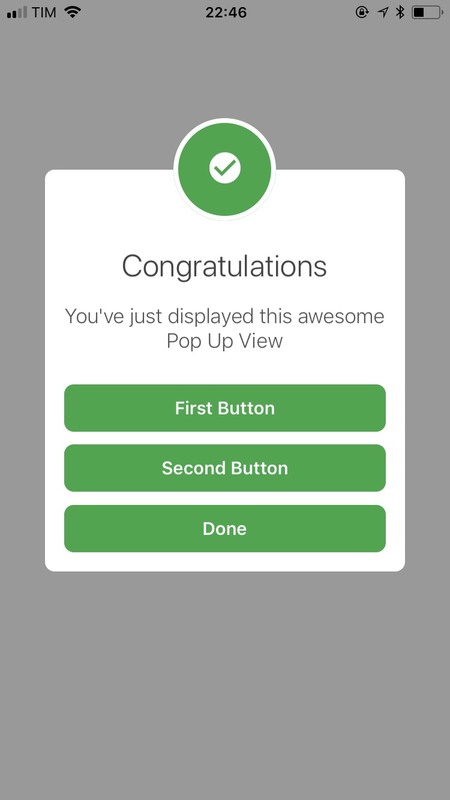 react-native-submit-button : Animated Submit button. Works on both android and ios. react-native-drawer-menu : A drawer component for React Native Application. 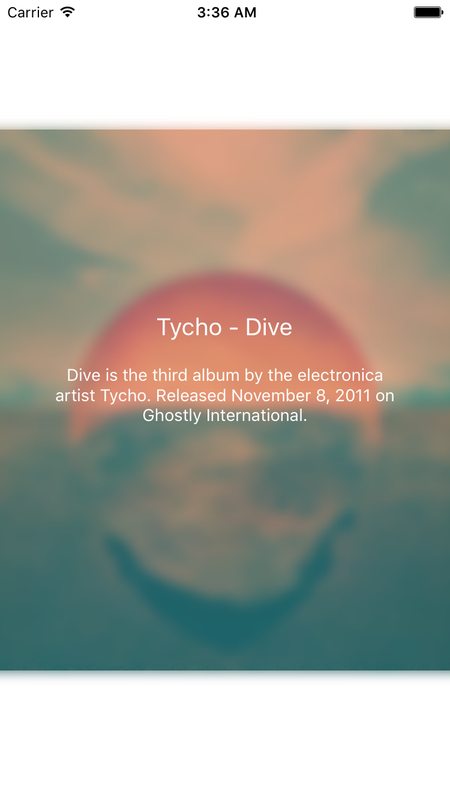 react-native-android-blurryoverlay : A react native android package to show a blurry overlay. 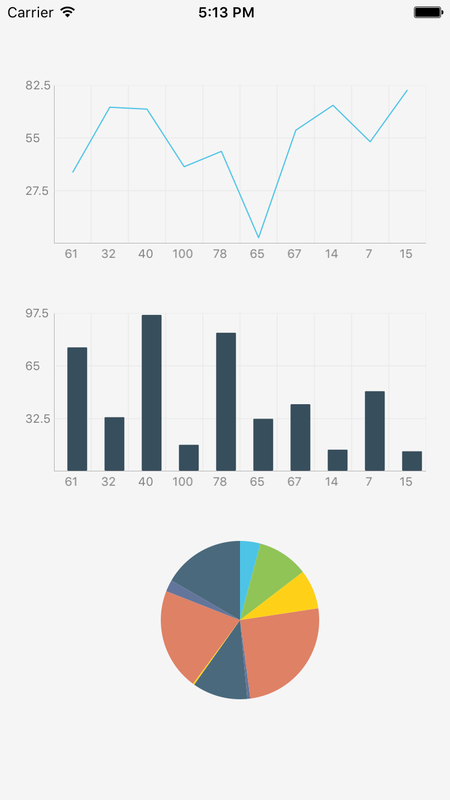 react-native-charts : Configurable react-native charting library– (right now just bar charts). react-native-textinput-utils : A react native extension which allows you to control TextInput better. 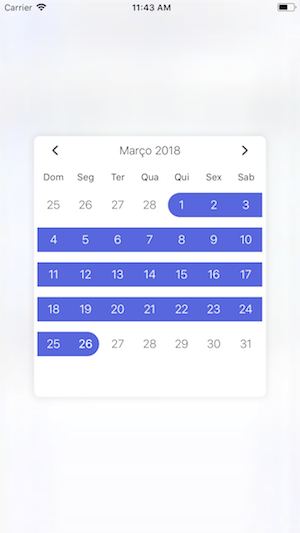 react-native-calendar-datepicker : React-Native cross-platform, calendar component. react-native-simple-dialogs : ⚛ Cross-platform simple dialogs for React Native based on the Modal component. 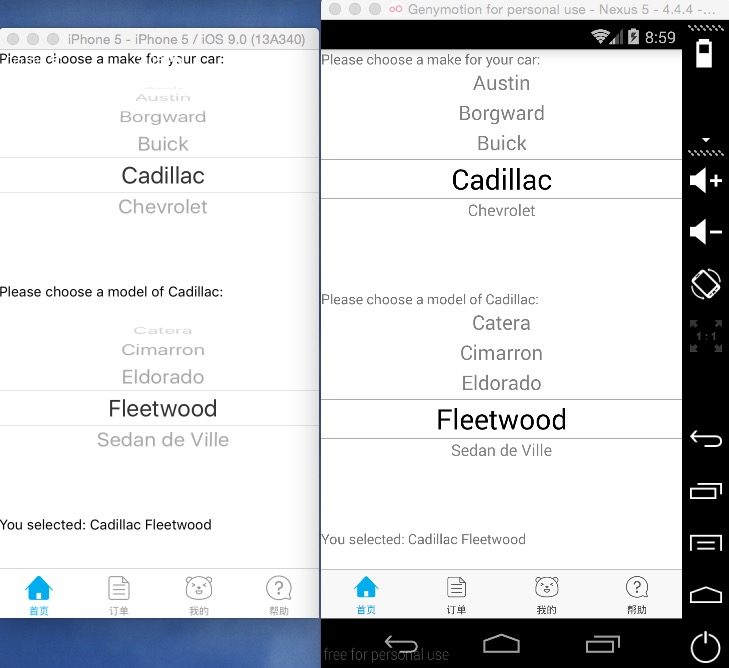 react-native-label-select : A react native component used for making multiple choices. 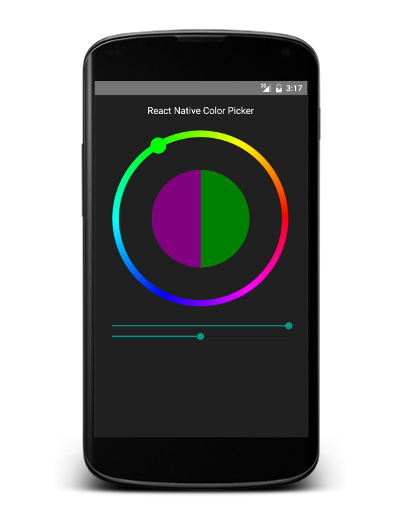 react-native-simple-picker : A simple picker for React Native. react-native-streetview : React Native Google's Panorama/StreetView component for iOS and Android. react-native-phone-picker : React Native component for select phone number from address book. 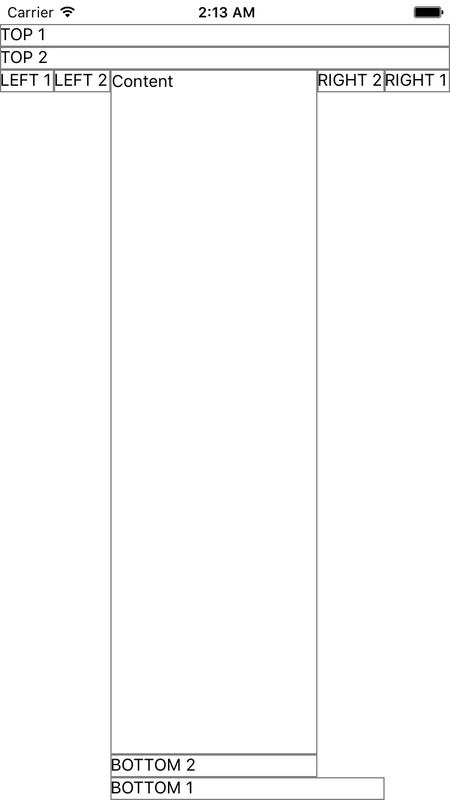 react-native-infinite-scrollview : ScrollView with infinte paged scrolling (no looping). 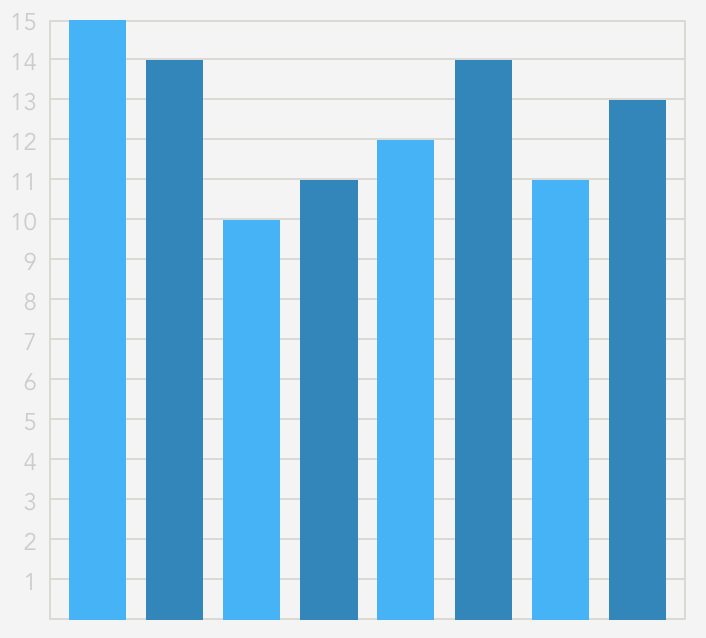 The number of pages rendered before and after current page can be customized. Pages are rendered when user scrolled. react-native-fs-modal : React native full screen modal component. react-native-multiple-choice : A cross-platform (iOS / Android) single and multiple-choice React Native component. react-native-swipeview : The best SwipeView component for React Native. react-native-beautiful-image : The Beautiful Image component that supports fadeIn animation and shows placeholderSource if the main source can't be loaded. More will be implemented. react-native-keyboard-accessory : A React Native Keyboard Accessory (View, Navigation) Component. Sticky views on keyboard. react-native-thumbnail : Get thumbnail from local media. Currently, it only supports for video. react-native-drop-refresh : ♻️ A pull down to refresh control for react native. 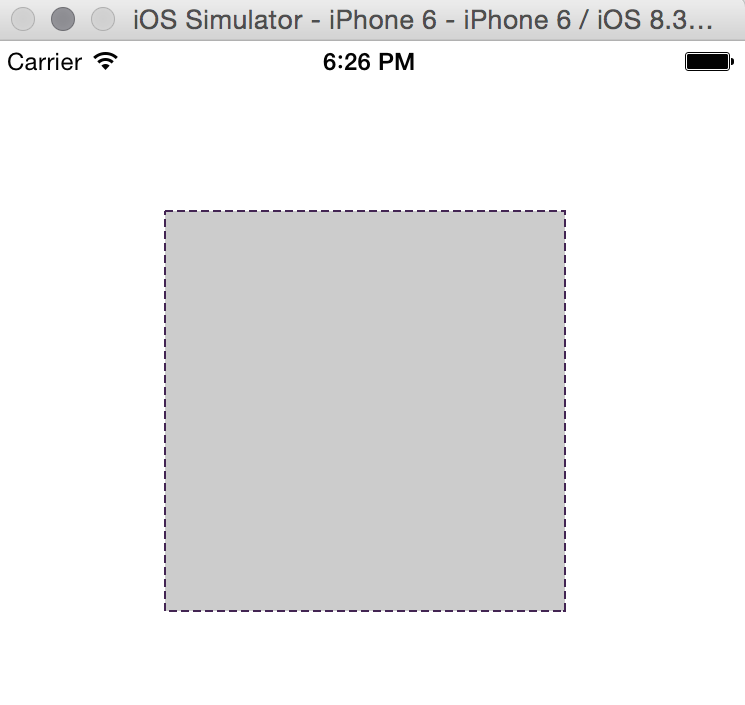 react-native-simple-stepper : A super simple react-native implementation of the UIStepper control from iOS. 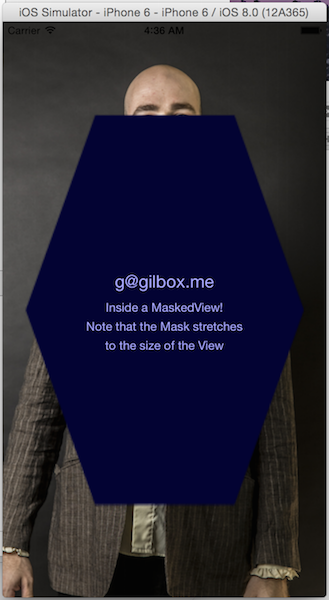 react-native-viewport : Utility to get current size of the viewport. react-native-tween-animation : Simple react native state tween animation module. 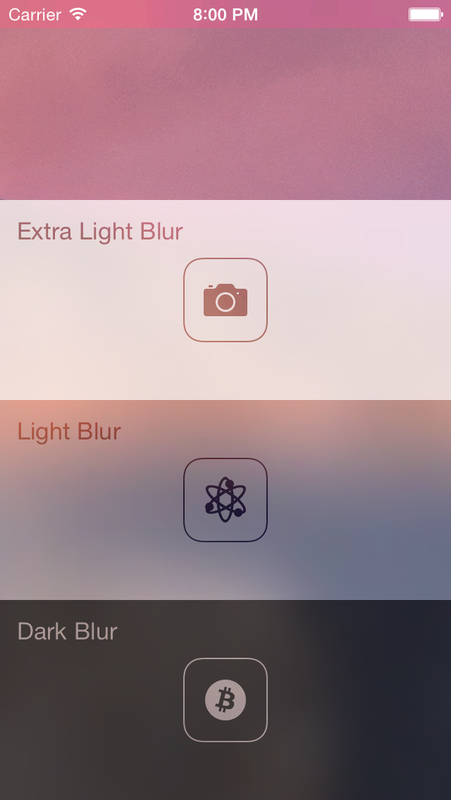 react-native-md-motion-buttons : A simple animated transition based on the dribble from invision. 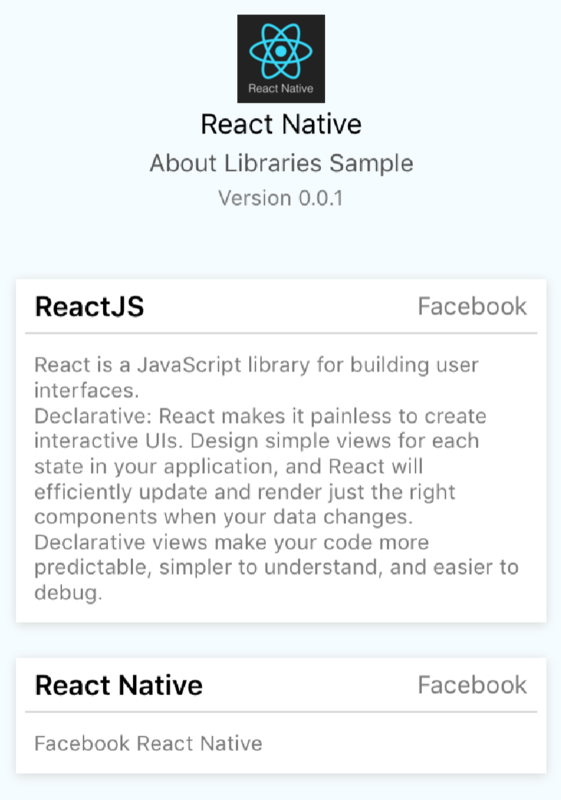 react-native-toolkit : A collection of common UI components for react native mobile apps. react-native-draggable-drawer : DraggableDrawer is a component for react-native, it allows you have a vertical draggable drawer view that you can drag up or drag down. So, if you drag and release that component, then it keeps moving until reach either initial position or container border. react-native-grading : A React Native grading component using ReactART. RocketButton : 🚀 React native component for animated cross-mark transformation. react-native-scrollable-decorator : A standard interface for your scrollable React Native components, making it easier to compose components. react-native-TouchableSetActive : Touchable component for React Native that enables more advanced styling by setting an active state. 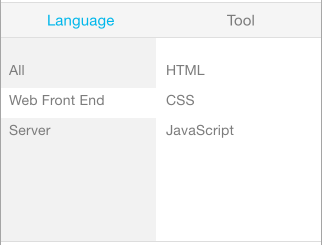 Most useful for building your own touchable/button components on top of. react-native-nmrangeslider-ios : React Native Slider component with two markers based on NMRangeSlider. React-Native-FAB : A FAB button component for Android and iOS, customizable, simple and as per material design specs. 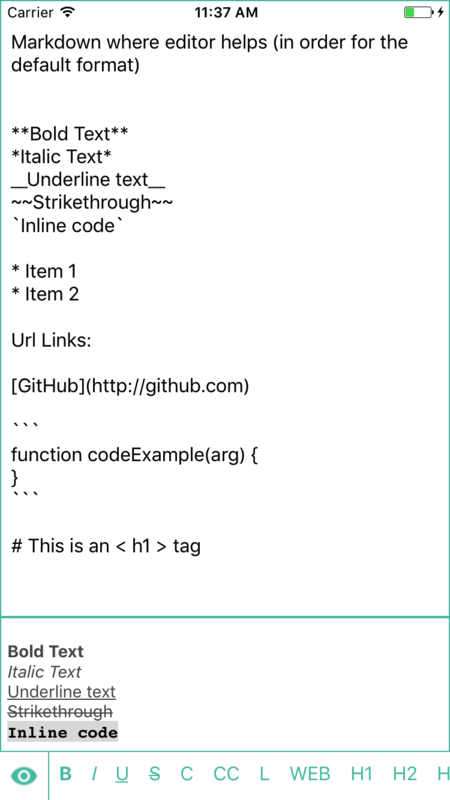 react-native-showdown : React-native component which renders markdown into a webview! 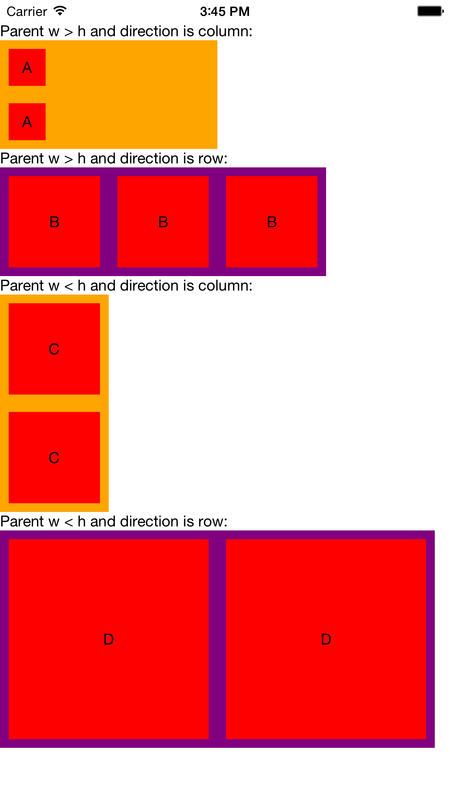 react-native-square-view : A square view component for react native. react-native-focus-scroll : React Native Library to detect children that are focused on ScrollView. react-native-draggable-calendar : A calendar component supporting dragging. 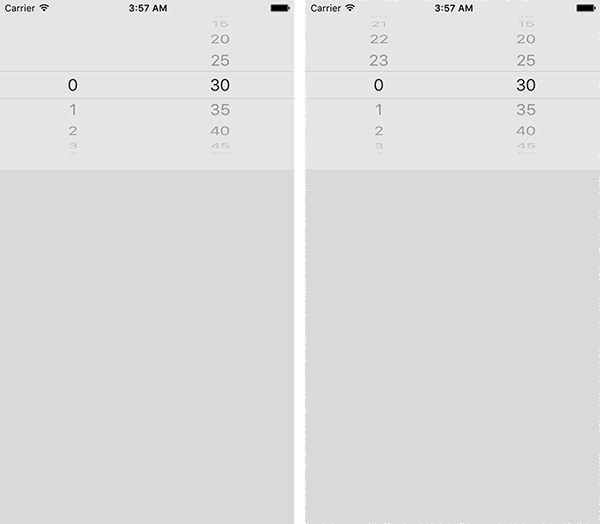 react-native-comparison-slider : Comparison slider for 2 images for React-Native. react-native-custom-checkbox : It's a React Native checkbox that can be customize. react-native-compress : Compress video for react native. Only for iOS, Android will be coming. react-native-pin-view : Easy, convenient, quick-forming PinView component. 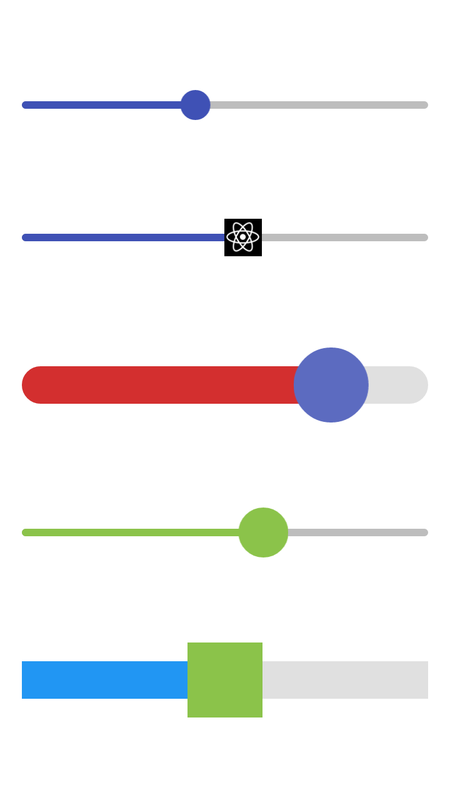 react-native-selectmultiple-button : A button (or a grouped buttons) supporting multiple or radio selection by building with React Native. https://github.com/danceyoung/selectmultiplebuttons for Swift. react-native-modal-loader : Customizable animated modal progress hud for react apps. react-native-seekbar-android : A React Native wrapper Android's SeekBar. react-native-coachmarks : Welcome to react-native-coachmark! 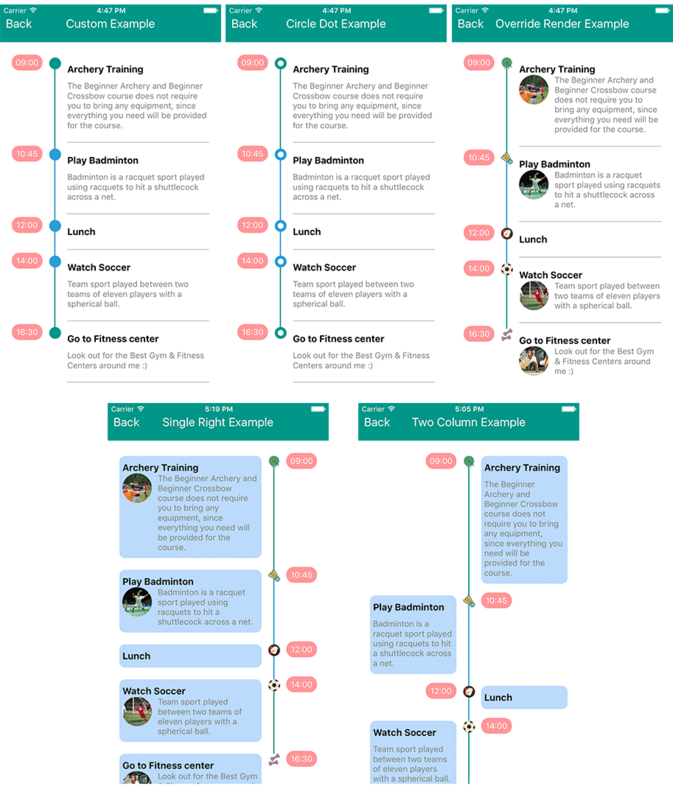 It helps you easily create Coach Marks to enhance user experience! react-native-custom-picker : React native customizable picker component. react-native-loading : A lightweight loading for your React Native app. react-native-progress-button : A react native button component that can show progress. react-native-images-collage : Robust interactive image collage component for React Native. react-native-animated-styles : Easily animate react-native components between two styles. react-native-create-new-file-ios : A react native interface for creating a unique new file. File must not exist already. 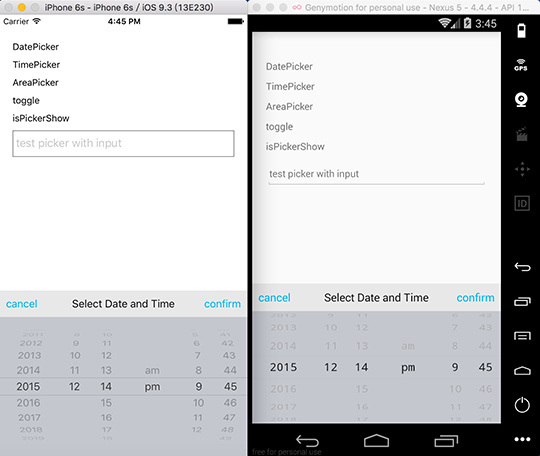 react-native-date-picker : React Native Date Picker - A new datetime picker for Android and iOS!